My daughter’s latest favorite diva is Hatsune Miku. Miku is 16 years old, 5’2” with cyan blue ponytails that fall almost to her ankles. She has a vocal range like no other – human, that is. 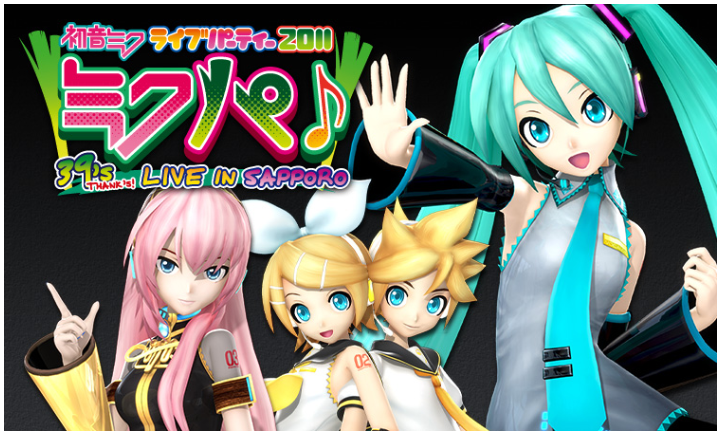 She is a Vocaloid – the child of technology, music, and anime. Hatsune Miku performs on stage as a projection, on a massive mostly-transparent screen surrounded by towers, under a rock star light rack. Rimmed by her band of live musicians, The 39s, she sings in the midst of a sea of glow sticks moving in rhythm. With expressive dance moves and fun, catchy tunes, her name reads “first sound from the future”. She is a musician. She is entertainment. She is a confluence. She is illustrated by KEI, animated by SEGA, created by Crypton Future Media, and powered by Yamaha’s technology, with a voice sampled from Japanese voice actress Saki Fujita, singing a song written by Ryo Supercell), that is published by Sony Entertainment.